We do not offer repairs on-site. 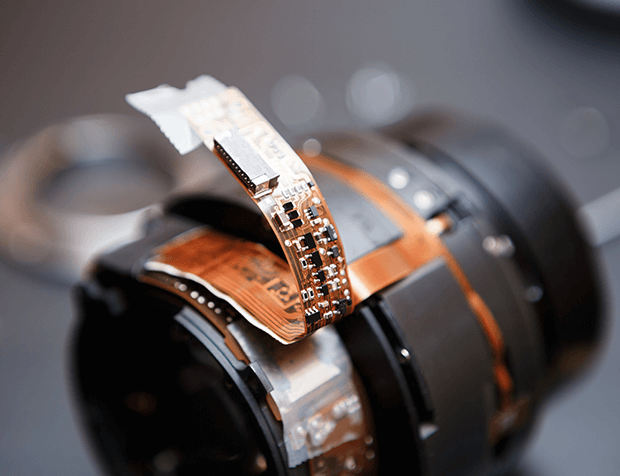 Today's digital cameras and accessories require specialized equipment, training and experience to service them to the exacting specifications of the manufacturers. We, therefore, recommend using the repair depots authorized by your camera's manufacturer. For faster repair service, we encourage you to deal directly with the service facility. Due to the nature of digital items, most manufacturers and retailers will not accept opened products for return even if they may be defective. Therefore, these items must be claimed under manufacturer’s warranties. For the fastest service, you may wish to deal directly with the manufacturer's service depot (see list below). If you purchased the product from us, bring in your receipt and we’d be happy to send it to the manufacturer’s service centre for you (sorry, we are unable to handle larger items such as printers). Original sales receipt is required for warranty service. Please refer to your product’s documentation for warranty information. Typically there is a 1 or 2 year manufacturer’s warranty. Please note that products purchased outside of Canada may not be eligible for warranty repairs through the Canadian warranty depot so check your product's documentation. An estimate fee must be paid when submitting ALL repairs (minimum of $40, depending on the manufacturer, to cover our out-of-pocket costs, particularly if the manufacturer declines the warranty). Warranties are voided in the event of accidental damage or misuse by customer (i.e. impact, liquids, lotions, sand, dirt, smoke, falls, being sat upon). Often these incidents have occurred without the owner's knowledge (i.e. child, pet, other person, in-laws). This is often not apparent from visual inspection so estimate fees are required and will be refunded after manufacturer confirms that the warranty is valid. For products purchased from other retailers, we recommend contacting that dealer or the manufacturer, or their service depot as we are not able to handle these warranty service requests. Additional service may be available for product recalls or service advisories and can be found on the manufacturer’s Canadian website. In some cases, these may apply even after your product is out of warranty so it's worth checking their website. Check here for links to many of the supplier's service advisories. Non-warranty repairs are subject to a non-refundable estimate and handling charge (minimum of $40). For more information about estimate and handling charges, which may vary by service depot, please contact us at 604-263-3221, 1-866-310-3245 or email info@kerrisdalecameras.com. Service depots may take 3 to 8 weeks to process a repair but times can vary and can not be guaranteed. For faster service, we recommend you deal directly with the service depot, listed below.